What We've Done This Week! As the work week comes to an end we wanted to show you some of the projects we've worked on in the past few days. Check out the photos below! The 6" Ocean Medley border, shown above, is a quick ship item - meaning we can ship it out 3 to 5 days after the order is placed! 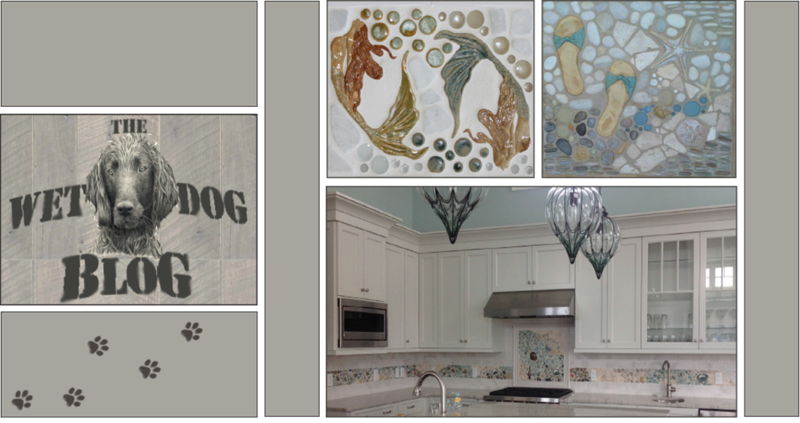 It's part of our most popular collection, the Ocean Dog Collection. This border is made with Extra Small Starfish, Small Sand Dollars, Wet Dog Mosaics (Rounds and Mini Shells, and various glass and stone pieces. 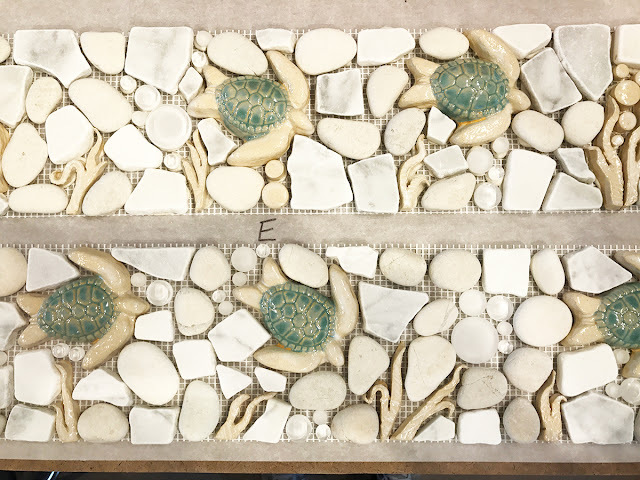 The 6" Swimming Turtles border is our newest border we offer through the Ocean Dog Collection. Although it is not a Quick Ship item, we're still able to typically give a 2 to 3 week lead time on this border as well as all other murals and borders not listed as Quick Ship items! 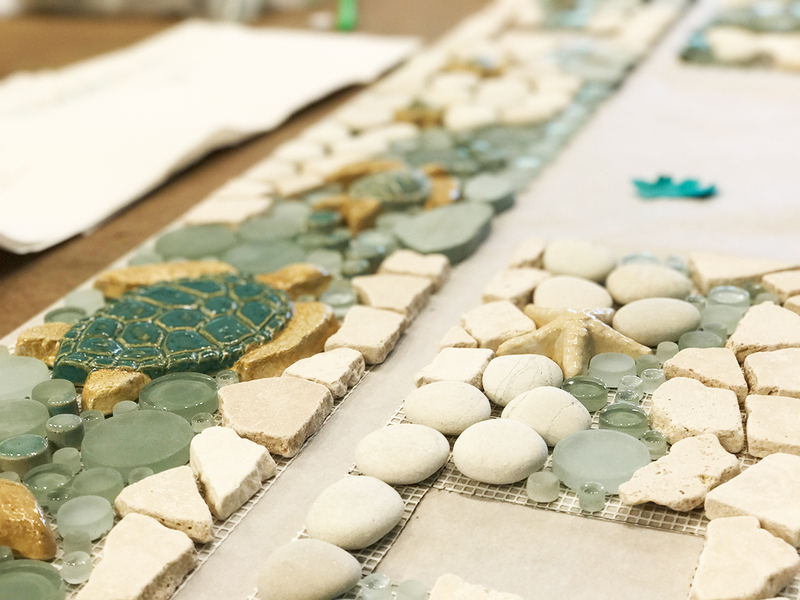 The Swimming Turtle border is made with Small Sea Turtles, Wet Dog Mosaics (Rounds and Kelp), and various glass and stone pieces. If you search through our website and enjoy the borders and murals we have to offer but you'd like something a little different, that is perfectly okay! We love doing custom orders. 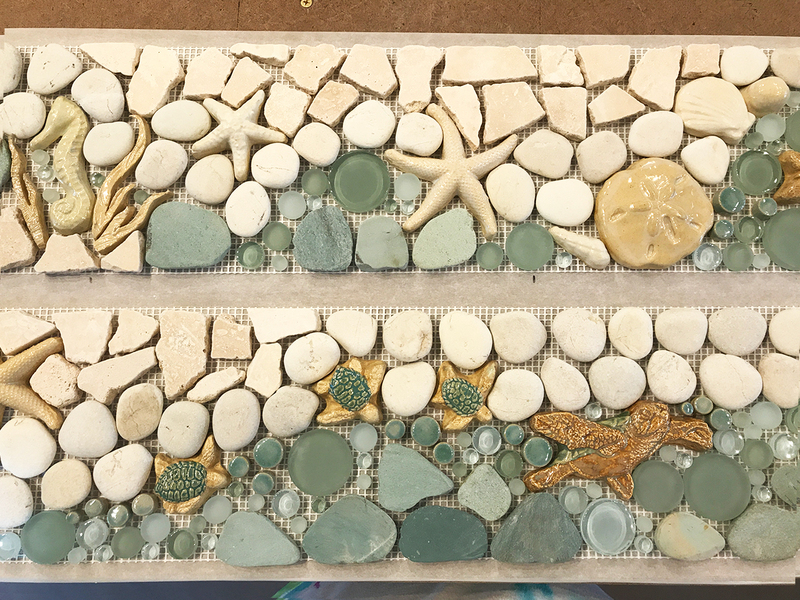 The border you see above is a custom border being made with turtles, starfish, mermaids, and more! 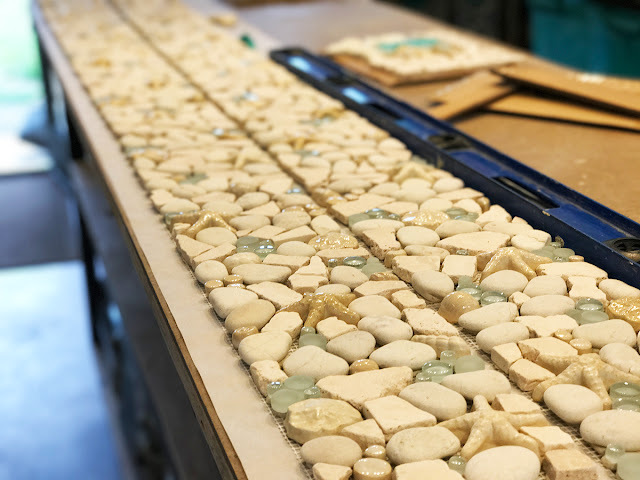 We do more custom orders than you'd think! Check out our Photos & Ideas page, where you'll be able to see murals we've made; both custom and standard. We hope everyone has a fun, relaxing weekend! See you next week!